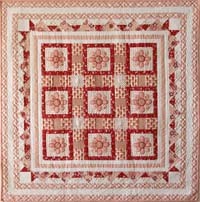 When I first dipped my toe into the wonderful world of quilting, the traditional blocks were the most popular. How times have changed. 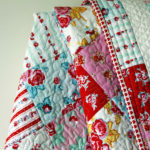 These days the simplest block designs, combined with a clever use of fabric, can create wonderfully appealing quilts. These quilts can often be whipped up in no time, and have a funky-modern twist. 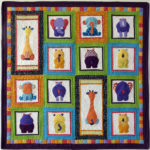 The added bonus is that they aren’t as daunting to the new quilter as some of the traditional blocks can be. 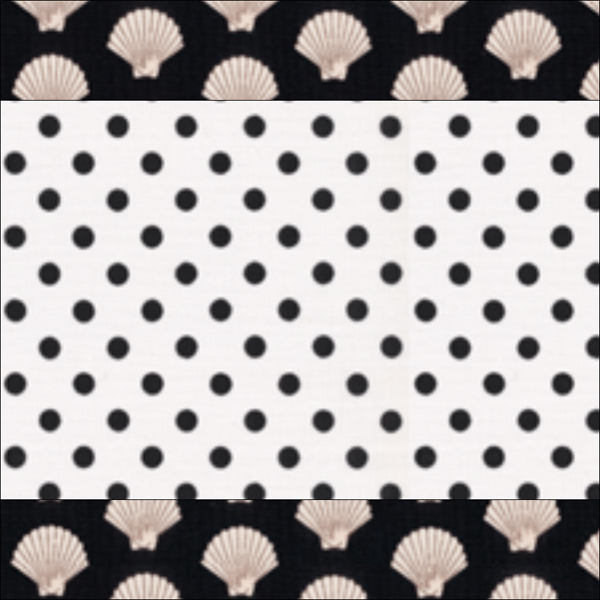 One of the simple quilt designs that keeps grabbing my attention is delightful and really easy to make. Woven Bliss is a one-block quilt. When I first saw this quilt I seriously thought it was made of rectangular blocks, and, just between you and me, it took me ages to figure out that they were actually squares! You can see how simple it is by the block diagrams. Maybe I am a bit slow on the uptake, but if it tricked me, then I am pretty sure it tricks most people, and, I have to admit, I seriously love when a quilt tricks me. You can change the look of the quilt by the the use of fabric and colour. Whether you keep it simple, or let your imagination run wild, I am sure you will enjoy making this fantastic quilt. And the best part is, it’s a Free Pattern. Simply download the Free Pattern today and get started. 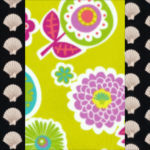 Is the lime green/pink fabric in the woven bliss quilt a current fabric? If so, do you know the name? 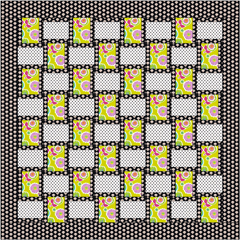 The Woven Bliss image was computer generated and the name of fabric was Greenhouse by Erin McMorris. I looked online for you but it doesn’t appear to be available. 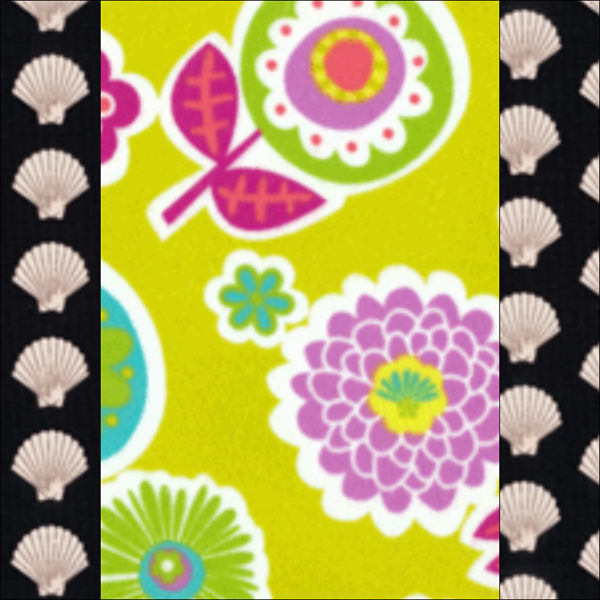 If you search online for lime fabrics you might find something similar. 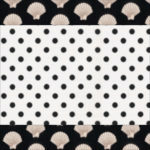 Two fabric designers that you might also try are Michael Miller and Kaffe Fasset. Both of them have a lot of bright fabrics. Good luck in your search. I hope you find something similar. I can NOT wait to make this quilt. I have another project that I promised I’d finish before starting anything else. It’s going to be really hard to keep that promise. I have some material that I bought on vacation that will be perfect for this quilt. I love browsing what you have available and enjoy it immensely.